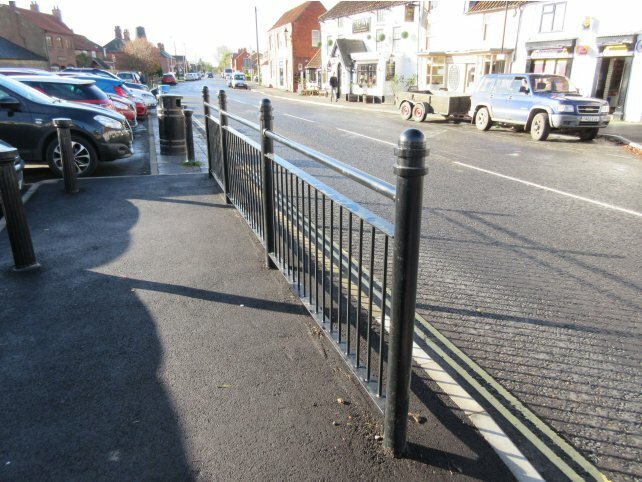 Following a spate of icy winters the busy road junction of the A158 and B1202 in the market town of Wragby, Lincolnshire was badly in need of repair and needed to be fully reconstructed, resurfaced and new pedestrian guardrail installed. 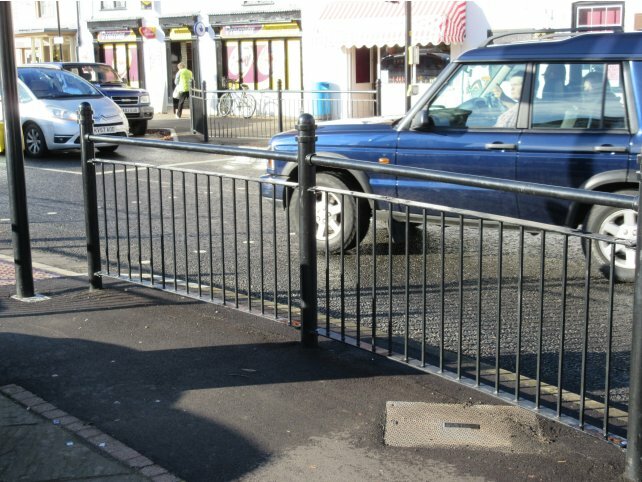 In total over £350,000 has been spent by Lincolnshire County Council to resurface the roadways, install modern traffic lights, update and install three new pedestrian crossings, and erect new pedestrian guardrail. 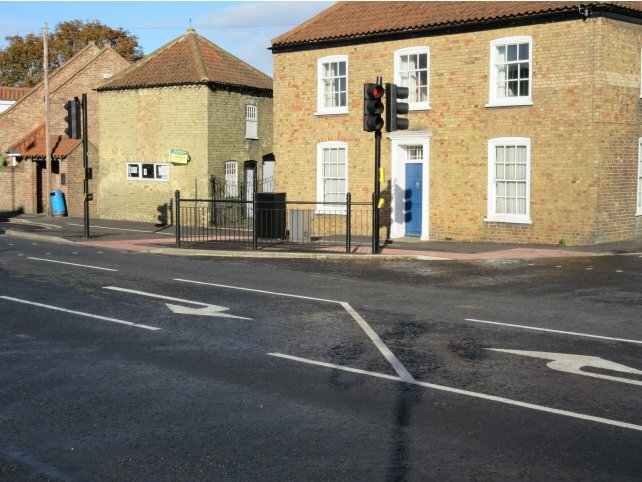 The overall project to revamp this busy junction was carried out by civil engineering and road re-surfacing company, Thomas Bow. The A158 is a busy route for holidaymakers visiting the East Coast resorts of Mablethorpe, Skegness and Chapel St Leonards and with its ample car parking and vast array of shops, restaurants, pubs and other places to eat Wragby is a popular stopping off point. The installation of new pedestrian guardrail was an important aspect of the scheme to ensure visitors were guided to safe crossing points. Alpha Rail was appointed to manufacture and install 82m of DG1112 Decorative Pedestrian Guardrail with 33 Intermediate posts. The project had to be completed in quadrants as resurfacing works progressed and required Alpha Rail to make four separate site visits. "“Completion of the works has extended the life of the road for another 20 years. The new modern pedestrian crossings now provide better facilities for pedestrians, as well as improving the efficiency of the junctions.